One award will be considered for each CTSA annual convention. To support the theological endeavors of new scholars. To encourage new scholars in the field to communicate their research among theologians and with scholars in other disciplines. 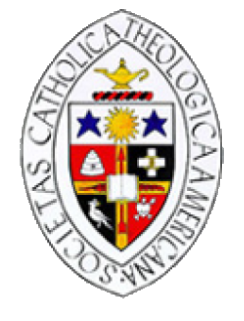 To promote contributions to theological science that further the mission and purpose of the CTSA. To foster theological studies and research related to plural sociocultural contexts and current problems in the life of society and of the Church. A précis of the recognized essay will be published in the CTSA Proceedings of the corresponding Convention. The CTSA reserves the right not to make the Award during any given year. Applicants should be active or associate members of the Society at the time of the essay's submission for consideration or eligible candidates who have applied for active (doctoral degree) or associate (A.B.D.) membership concurrently with the essay's submission. An essay makes a contribution to the understanding of the role of religious and Christian faith in the life of human beings, society, and the Church. The essay may include, but is not limited to, consideration of historical or contemporary issues of concern from various theoretical viewpoints, e.g., intercultural, ecumenical, interreligious, critical race, feminist, sexual orientation, ecological. The essay demonstrates scholarly excellence in terms of content, style, clarity and professional appearance. The essay submitted for consideration may be previously published or be under consideration for publication in other venues, but the author may not have previously received an award for the essay. 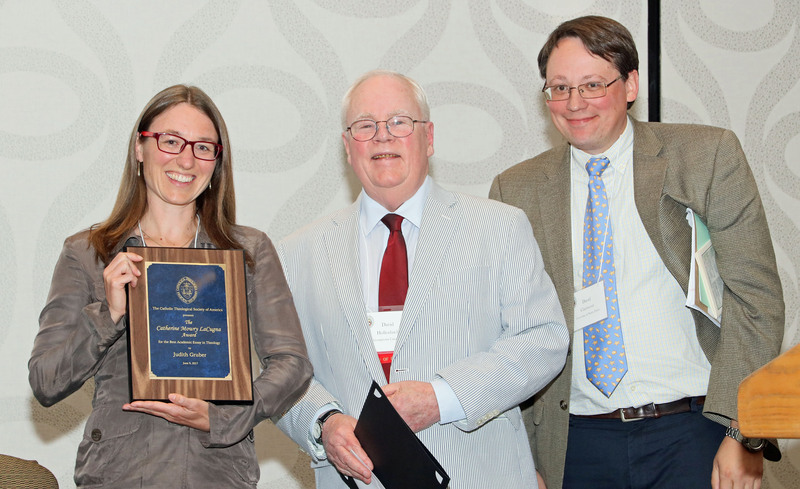 The Catherine Mowry LaCugna Award Committee is composed of three Active Members who are actively engaged in the life of the Society through regular attendance at the annual convention. The members of the Award Committee are appointed by the President of the CTSA with consultation of the Board. Members of the Award Committee are appointed for a period of three years. The Award Committee may seek other readers among the CTSA Active membership for review and evaluation of essays according to the purpose and criteria of the award. The Award Committee selects the best article, and makes its recommendation to the CTSA President by March 15. With the approval of the CTSA President, the committee chair notifies the winner and orders the plaque. The committee chair also notifies the candidates who did not win that their submission was not selected--do not inform them who won the award! The committee chair submits a report to the President, which includes the number of essays and the name of the winner, for the June Board meeting. The President of the Catholic Theological Society of America presents the award at the CTSA annual convention at the business meeting. Note: Only one essay per person may be submitted by a candidate each year. Deadline for submission: January 31st.